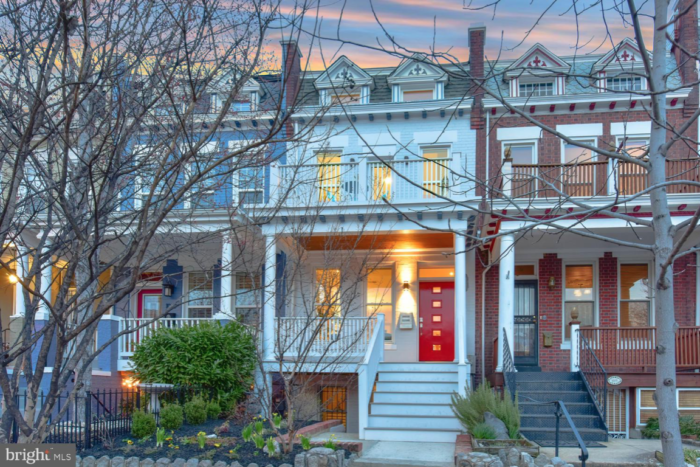 Just in time for outdoor entertaining season, 1017 7th St NE is truly an urban oasis. Fully renovated with the finest materials and craftsmanship in 2016, it features 4 bedrooms and 3.5 bathrooms and nearly 2,400 interior square feet of effortless perfection. Every detail, including the white oak floors, Quartz counters, Bosch appliances, high end fixtures (Duravit, Grohe, Toto), Porcelanosa tile and triple-pane Alpen windows that meet European Passive House Standards has been carefully curated to create the perfect harmony of luxury and tranquility. Every space in this home has been thoughtfully conceived to bring joy, comfort and calm to your life. Start your day in the kitchen and sunroom with its wall of Eastern facing windows bathed in morning light and end it watching the sunset from your private West facing deck off of the Master suite. 1017 7th Street NE is listed at $1,299,000 and will be open both Saturday, April 6 and Sunday, April 7, from 1-4 p.m. Want to take a virtual tour? Click here!